There’s never a dull moment in Teresa Giudice‘s life. Less than a year after being released from federal prison, Teresa suffered the tragic loss of her mother Antonia and the Real Housewives Of New Jersey star admits that nothing she’s endured has been harder than this. Teresa has been working through her grief with yoga and writing. 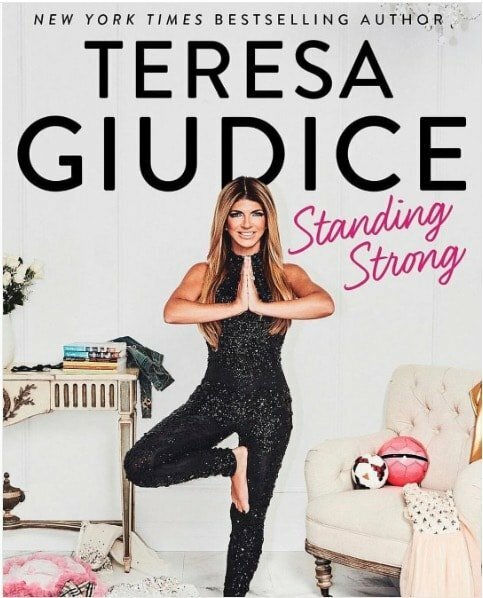 She recently shared more details about her upcoming memoir, Standing Strong, which is about finding her way back to herself and figuring out how to handle not only Joe Giudice‘s prison sentence, but also her mother’s unexpected passing by finding zen and learning to rely on Joe and Melissa Gorga. Teresa Giudice’s prison memoir, Turning The Tables, is another best seller for the reality star. Even though her cookbooks have done well, we all weren’t too sure how this book would turn out after hearing some tidbits from her diary while she was still in prison. Report: Teresa Giudice Turns Down Dancing With The Stars! According to reports Teresa Giudice does not want to dance with the C-list stars. 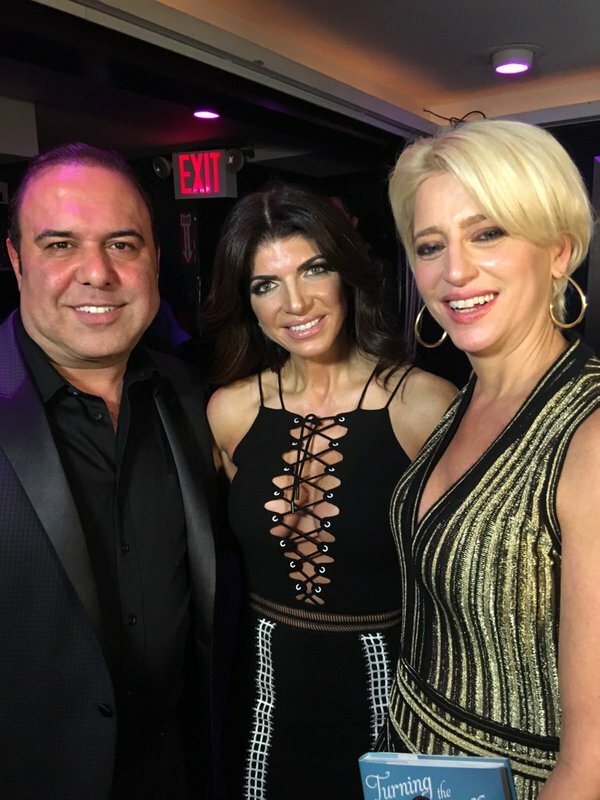 Right… Sources say ABC execs were heavily courting Teresa to be the Real Housewives representative for the upcoming season of Dancing With The Stars, which is casting now, but the Real Housewives Of New Jersey star turned down the opportunity. Teresa Giudice‘s prison memoir, Turning the Tables, is set to be released next Tuesday, February 9th, the same day Teresa will be on Good Morning America. Ahead of the release, the New York Daily News is sharing a few excerpts from the Real Housewives of New Jersey star’s tell-all, which includes her sexual fantasies (eww), the pros and cons of her celebrity status (there are more pros than cons), and her vision for the future (she is soooo out of touch with reality). 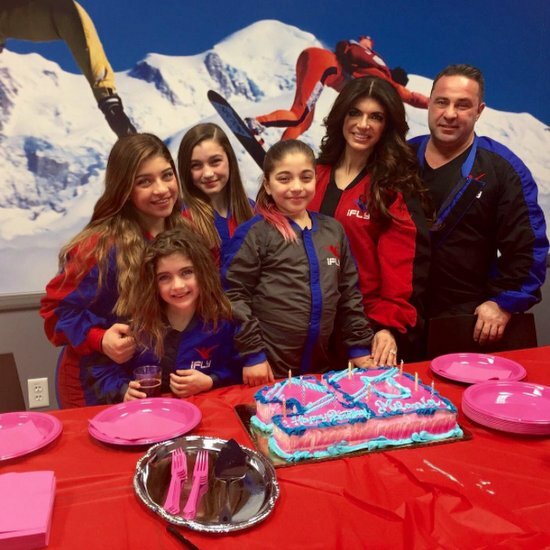 Teresa Giudice’s Life After Prison Release! Plus, Real Housewives Of New Jersey Season 7 Starts Filming! Pay attention PUH-LEAZE! Teresa Giudice will be released from prison on December 23rd, which means in 2 days’ time. Yay – it’s a golden, leopard-print, CHARGE IT! Christmas at the Giudices once again. Let’s just hope Melissa Gorga doesn’t f–k up and bring sprinkle cookies because in times of celebration – like when your sister-in-law gets sprung – only a pignoli cookie will do! “… she’s getting released on Dec. 23, I don’t know exactly what time. I will be picking her up and driving her home,” Teresa’s attorney James Leonard Jr. confirmed. Teresa served 11 1/2 months of a 15 month sentence at Danbury Federal Correctional Institute. She received early release as a first-time, non-violent offender, who exhibited good behavior. Preview Of Teresa Giudice’s Prison Memoir ‘Turning The Tables: From Housewife to Inmate and Back Again’! Teresa Giudice can barely construct the ingredientzes of a sentence, but she’s about to be a published author once again! Teresa’s prison memoir, titled ‘Turning The Tables: From Housewife to Inmate and Back Again‘ will be released this February and is being touted as an exposé on her life in prison and a glimpse at the real Teresa that reality TV cameras haven’t shown. In Turning The Tables the Real Housewives Of New Jersey star promises to not only chronicle her time in the slammer, but explore the events leading up to her incarceration (as if we don’t know by now), her rise to fame (and subsequent fall from grace), the true behind-the-scenes on the infamous Gorgadice family drama, and how the entire experience has changed Teresa for the better!